To make as big a splash as possible during the release week - to place high in the best-selling chart and to make an impression on games industry press this way - we would like to create a sales spike just after the game starts selling. We will depend on our fan community to achieve this; when we were thinking on how to catalyze things, we came up with an idea of a little bribe bonus. 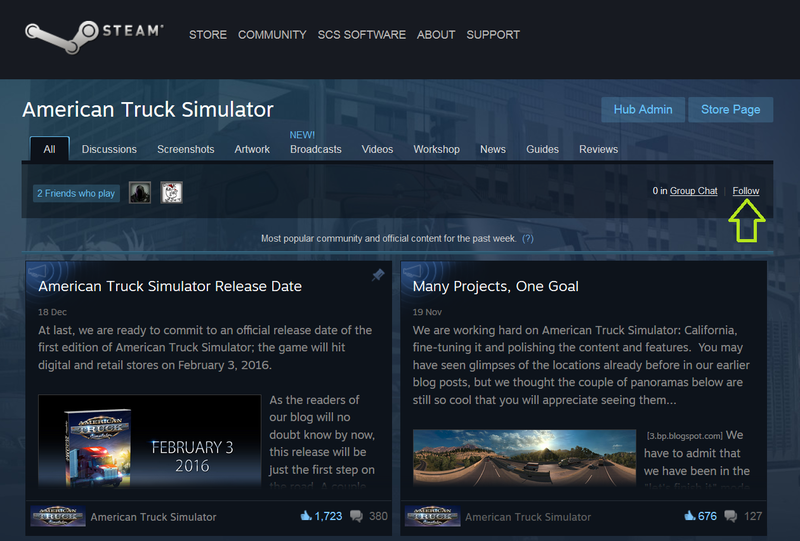 Here is the deal: Go to the American Truck Simulator Steam page, click the Community Hub button, and choose "Follow" to make sure you get all the important announcements through Steam's Friend Activity feed during the period leading to the game's release. By getting as many people into our dragnet as possible, we hope for a bit of snowball effect in raising the awareness of the game's impending release - not just among the hard-core fans, but also in general gamer population. 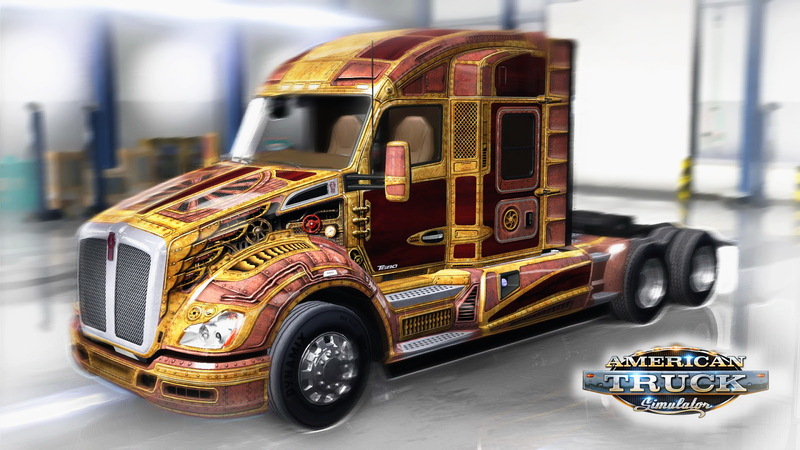 In exchange for the "follow," we are ready to give you an exclusive gift: a set of unique Steampunk-themed truck paintjobs. It's perfectly OK if you buy the game in a retail box or any alternate digital channel - so long as you follow the game's official Steam community announcements and activate your game on Steam during the week after its release, you are eligible for this bonus. 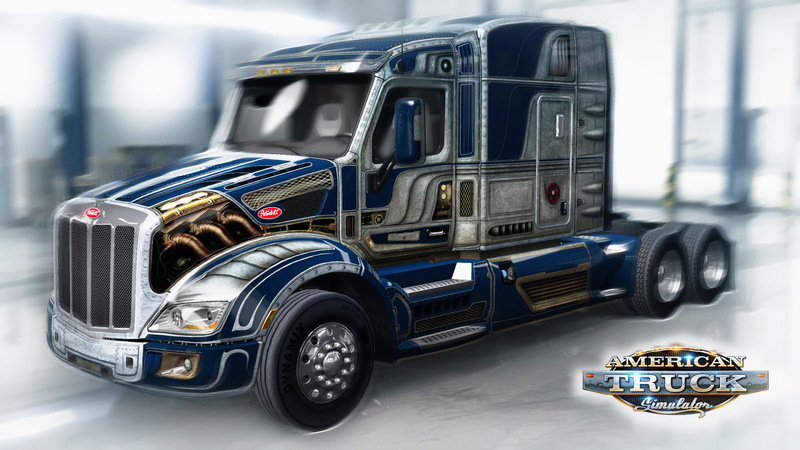 1.26.x Euro Truck Simulator 2 is a Steam Awards Finalist! 1.17.x Here we go: ETS2 Scandinavia map expansion published! 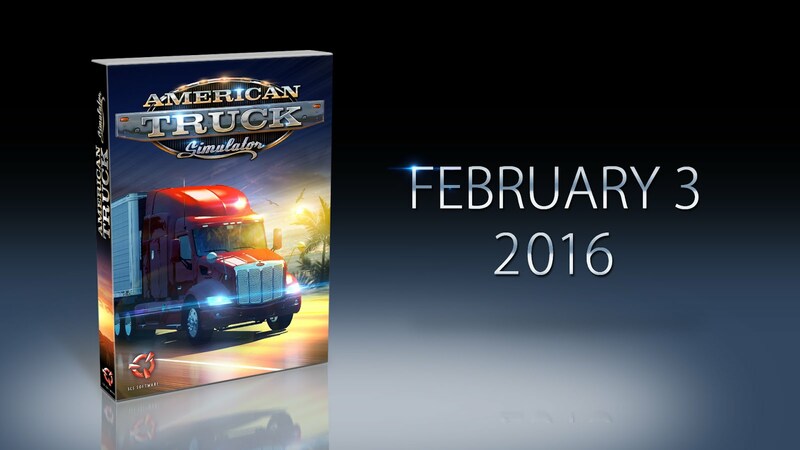 1.15.x American Truck Simulator will be released on February 20, 2015?